The relationship between Hangouts and SMS/MMS messaging has been a long, gut-wrenching story full of danger at every turn. 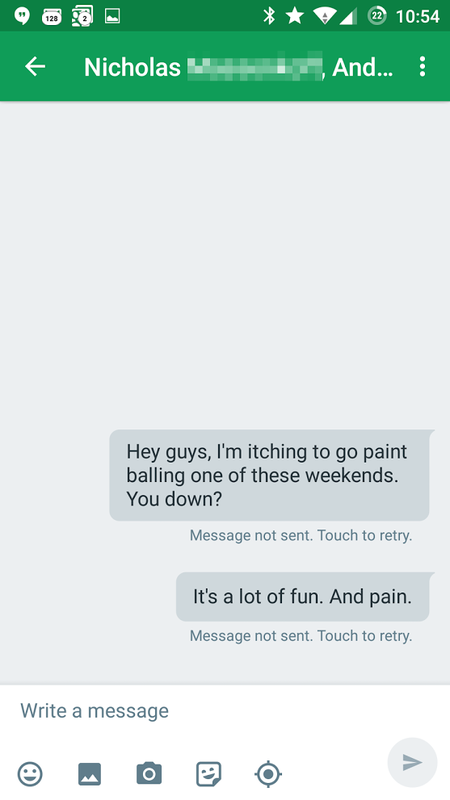 Although Hangouts 4.0 was a massive improvement over every previous version, it would appear that all is still not well on the MMS side of things. Anything other than a standard text message to one single recipient counts as MMS. That means picture messages, video messages, group texts, all count as MMS and are handled differently by carriers than a traditional SMS text to a single recipient. After upgrading to Hangouts 4.0, some users are now unable to send or receive any kind of MMS message. Downgrade to Hangouts 3.3 until Google fixes it. Sadly, this is the most common workaround. Check your APN settings to make sure that there is only one APN in your phone at any one time, and to be sure that single APN has an MMS port specified (on most carriers, that port is 80). Change your Hangouts settings so that SMS does not appear under your Google account and instead shows as its own account within Hangouts. Once that's done, re-link it to your Google account. Unfortunately, none of these workarounds seem to work for everyone, but if you're having this problem, trying them could well be worth your while. If the workarounds prove fruitless, though, you'll probably be out of luck until Google rolls out a fix. 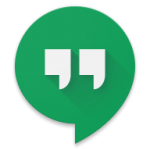 The Hangouts team is actively investigating the issue, so hopefully that means we'll have a resolution soon.